Does Wisconsin have state overtime laws that are different from federal law? Does Wisconsin have a minimum wage that is different from federal law? Wisconsin’s minimum wage is $7.25 per hour. “Opportunity employees” (under the age of 20 and still in the first 90 consecutive days of employment) may be paid at a lower rate per hour. Minor employees (under 18) may be paid at a lower rate per hour. The minimum wage for agricultural employees is at a lower rate per hour. Any individual engaged in the house-to-house delivery of newspapers to the consumer or engaged in direct retail sale to the consumer. Any individual engaged in performing services for a person as a real estate agent or as a real estate salesperson, if all of those services are performed for remuneration solely by commission. Any individual engaged in performing services for the state or local government if that individual is an elective officer, is on the personal staff of an elective officer, other than a member of the legislature, is appointed by an elective officer to serve on a policymaking level, or is an immediate adviser to an elective officer with respect to the constitutional or legal powers of the elective officer’s office. This is much broader than the federal provision, and so many employees who would not be covered by the federal minimum wage are covered by Wisconsin’s minimum. Tipped employees may be paid as little as $2.33 per hour, as long as their tips suffice to bring them up to the minimum wage. This also applies to tipped minor employees. For more information on the minimum wage in Wisconsin, visit http://dwd.wisconsin.gov/er/labor_standards_bureau/minimum_wage.htm. Does Wisconsin have meal and rest break requirements, unlike federal law? Only employees under 18 are entitled to a meal break: their employers must provide them with a 30-minute duty-free meal break for every shift greater than six hours in duration; this break does not have to be paid. Otherwise, employers are not required to provide breaks. Meal or rest breaks shorter than 30 minutes must be paid if they are provided. Meal breaks during which the employee is not free to leave the premises must also be paid. How do I file a wage/hour or labor standards claim in Wisconsin? If your employer owes you wages, you can file a Labor Standards Complaint Form with the Wisconsin Department of Workforce Development. The form is available at http://dwd.wisconsin.gov/dwd/forms/erd/ls_119_e.htm. Before filing the form, you must request the wages from your employer and wait six days after you are owed your wages. The Department will attempt to resolve the problem and, if that does not work, will refer the case to a local district attorney for enforcement or will take the case to court itself. Do not delay in contacting the Department of Workforce Development to file a claim. There are strict time limits in which charges of wage-and-hour violations must be filed. In order for the Department to act on your behalf, you must file your claim within two years of the date on which your wages were owed. However, as you might have other legal claims with shorter deadlines, do not wait to file your claim until your time limit is close to expiring. You may wish to consult with an attorney prior to filing your claim, if possible.  Yet if you are unable to find an attorney who will assist you, it is not necessary to have an attorney to file your claim with the Department. How can I or my attorney pursue a claim in court in Wisconsin? Instead of filing a claim with the Department of Workforce Development, you may bring a lawsuit in court to recover your unpaid wages. In addition to awarding you your back wages, the court may also require your employer to pay your litigation costs and attorneys’ fees. There is a statute of limitations of two years for this kind of lawsuit.